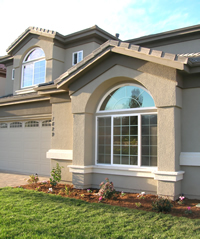 As you go about your daily life in your home and you notice you family’s needs, you may have considered adding a house addition. Perhaps you want a family room? Maybe you want to expand the kitchen? Maybe another bathroom is needed? Before you commit to any expensive, inconvenient project, consider these things before breaking ground and writing that first check. Will the house addition add value? Just because your family needs extra space doesn’t mean that the next buyer will agree. Before you draw up any plans, talk to an expert, like a real estate agent, who will know what houses similar to yours are selling for. If the agent knows your neighborhood well, he will be able to advise you on whether your project is an asset or a liability. Skipping this step could cost you thousands when you sell your home. Have you considered your neighborhood zoning policies? Many neighborhoods have strict guidelines about what can and can’t be built on existing homes. Contact your city government offices and find out what permits need to be applied for and what procedures need to be followed. Do you have architects, designers or contractors lined up to help you? A professional can tell you if your big idea is doable. The construction, electricity and plumbing design of your home may dictate how you complete this job. Don’t guess. Get a pro’s opinion. Will your family be able to endure the disruption? Some home additions require water and electricity to be turned off. Can your family go about their daily lives with this interruption? Can you manage getting everyone to school and work while stepping around a mess? You may need to postpone this project until your family is better able to handle the change. Conventional wisdom says that most construction projects take longer than you expect. If you are under a deadline, keep this in mind. Plan for the unexpected. You will be glad you did. Before you commit to any project, make sure you have several expert bids on what everything will cost. Then budget extra money to cover the surprises. You don’t want this project to put you too far into debt or create financial stress. Plan ahead. Do you have contractors you can trust to complete the job? Get as many bids as you can for this job and check references. Don’t go with the lowest bid, go with the contractors who not only respect your ideas, but will meet your deadlines, work under budget and be the most professional. An addition to your home can be just exactly what your family needs. Before you agree to it, consider all of these issues. Home additions are not just about adding more space, they’re also an investment of your time, emotions, and money. With consideration of all these issues, your home improvement project will be the best it can be.